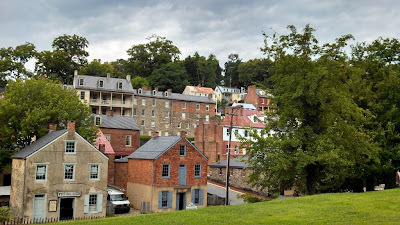 Recently we visited Harpers Ferry, WV and stayed at the Harpers Ferry / Civil War Battlefields KOA. Just the term "KOA" uttered in a RV forum can conjure up a debate that can go on for days. "They are to expensive", "it's not camping" and "sites are to small" will be just a few of the complaints you may read. On the other side of the fence you normally get that "they are good for an overnight layover" or "you know what your going to get". 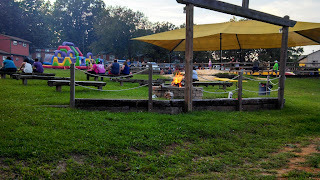 One thing you cannot debate is that KOA campgrounds are not going away and I have seen the franchise continue to grow over the years. There is a consistency in services you will find at every KOA even though the actual campground itself may differ drastically. check to see if your name is on a list and then tell you to move on to the main parking lot located at the bottom of the hill. There must be a reason for having this person there, but I am not sure what it is. We found that they are only there during the day and there is no gate so they are not keeping non KOA campers out during off hours. During our time there an elderly women was manning the post and she always waved and had a big smile which was nice. I don't recall any of the other KOA's we have visited having a greeter, so this was a bit different. 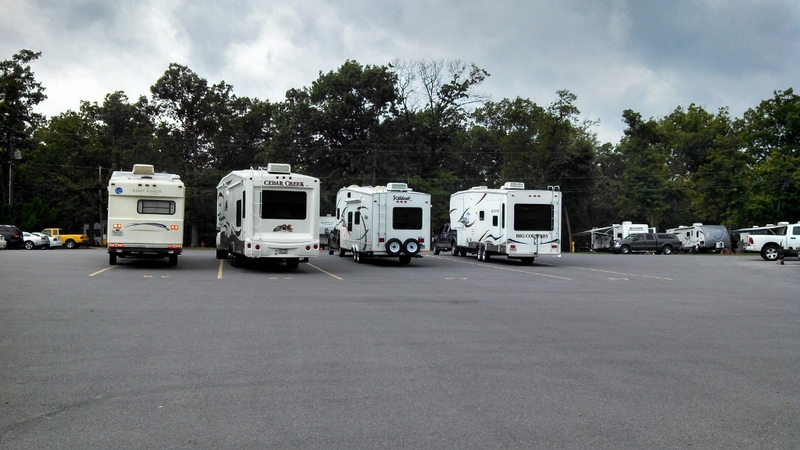 Since Harpers Ferry is a tourist destination with it's historic Civil War lineage, this KOA is quite busy on the weekends, actually really busy. The full hookup pull through section were we stayed was extremely tight and there was no way we could actually pull through the site we where on. Actually, only very small RV's could pull through without unhooking towed vehicles or special maneuvering of their trailer. I would imagine this KOA gets very low marks for advertising pull through sites that really cannot not be used in that manner. One thing I like about KOA's is the recent addition of deluxe campsites. They usually have a nice patio, maybe outdoor furniture and are quite large. These are good for that occasional camping weekend when you may have visitors or your looking for a relaxing weekend out of the grass and dirt. The Harpers Ferry KOA looks like they made an attempt to add these to the section we where in, but it went horribly wrong. The sites are very unlevel as where the stamped concrete pads which had a pretty steep grade in them. In other sections of the campground the site where every bit as cramped and some even more so, but I will say the place was packed (literally) so people must not mind all that much. 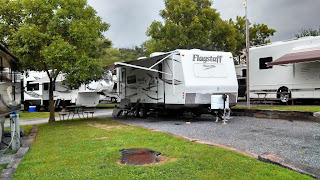 I know what we do is not considered camping, but I think most RV'ers are trying to get away from the hustle and bustle of normal life and would also like a little space to do it in. Unfortunately in my experience, KOA campgrounds are not the place that you will find this and this one is no exception. Outside of the feeling like a sardine and the Wifi not working, this KOA was not all bad. 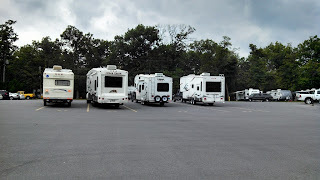 It had a very well stocked RV accessory store, movie theater, huge pool, mini golf, tons of toys for the kids to play on, a wine & coffee shop and even a small Civil War museum. They also had a large number cabins and I could not believe how many tenters. The staff was super friendly and I found myself up bright and early for a couple of free pancakes that they served every morning. The place was also very clean and well maintained. Maybe those RV forum discussion are not to far off in their arguments for and against KOA camping. And I would say this place fit that criteria. Small sites, but good service and facilities. 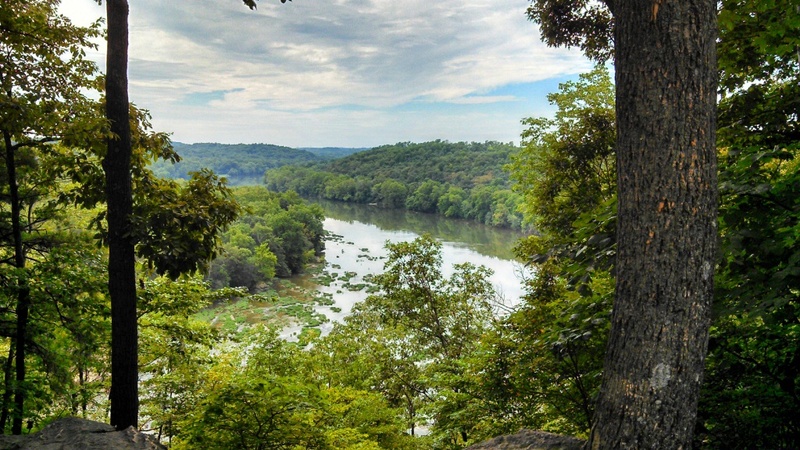 Oh and since they don't tell you, there is an amazing 2 to 3 mile hike (you can make it shorter if needed) right out the back of the campground into the National Park. 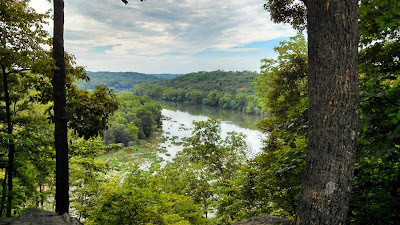 There are some restored cannons in the field along with the Murphy Farm which was a strategic battle location for the Confederate Army and some great views of the Shenandoah river valley. RVUpgradeStore.com is the best place online to buy RV accessories including camping supplies and motorhome parts. 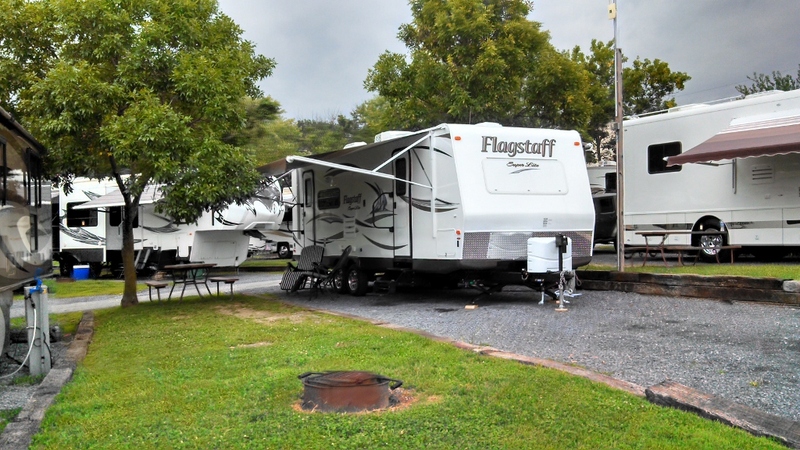 Visit the store for the complete selection of RV accessories & supplies. Hold Up, Step Up and Cover Up! When you take delivery of your new RV, there will be quite a few things that you will considering to improve your ownership experience. The list goes on for quite some length however I would like to focus attention on; "What's the first thing you are going touch before you are able to get into your RV?" The simple answer is, your entry steps. step on the stair. Yet another point of failure are the rivets that hold the folding frame together and allows the mechanism to pivot and operate. stabilizer goes under the stair. This device offers 2 benefits, it supports the stairs at its maximum point of leverage and it takes the vertical movement you will feel as a mushiness out of the stair. I will try to position the stabilizer just to the left of center since we both lead with our left foot. 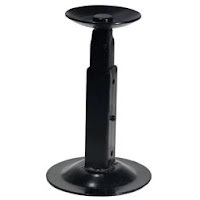 We all have found terrain features to be different from one place to another and although the stabilizer is adjustable, you may need a "jack pad" to raise the stabilizer if it's too short. If for some reason the stabilizer is too long, I will simply build up as many stack-able jack pads as I need to take up the space. Your RV steps are probably just like mine, flat black and bare metal. In order to dress up your stairs, improve traction and provide a method to wipe your feet, I obtained the Prest-O-Fit Wraparound +Plus RV Step Rug 20" Wide I have 3 steps so I purchased 3 "Wraparound Rugs" The rugs fit perfectly and they are provided with a double row of eyelets and a pair of springs. The rug is wrapped around the step and using the springs, they are stretched to the first available hole and that's all there is to installing the rug. Once completed, it dresses up your stairs quite nicely. Although the carpet is available in 8 different colors, I went with the black. Finishing up, if your bottom stair is too high off the ground for any reason you can always option to get a "Safety Step." I know that my wife does not like to have too high of a step so a device like a safety step make all the difference. The safety step folds practically flat and it doesn't take up much room in storage.